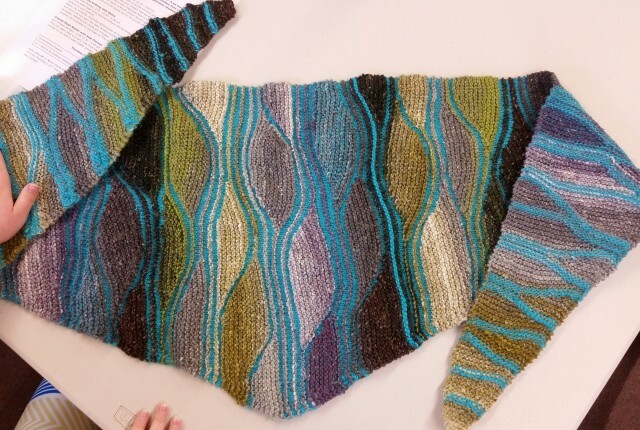 Channeled Colors Brioche Loop & Scarf and the Gorgeous Galiano Shawl. 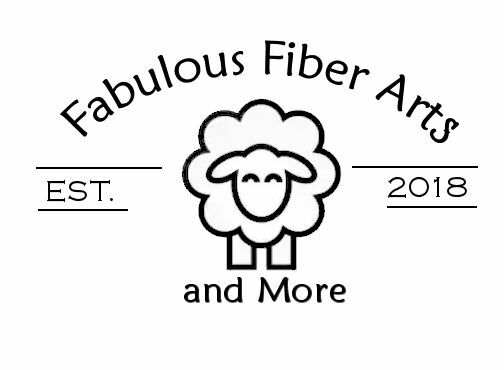 Stop in Fabulous Fiber Arts and More today to join our KAL. Come down on Thursdays for Social Knitting and for help to get started if you need it. Let us show you the amazing selection of colors! Are you looking for a fun knitting project? 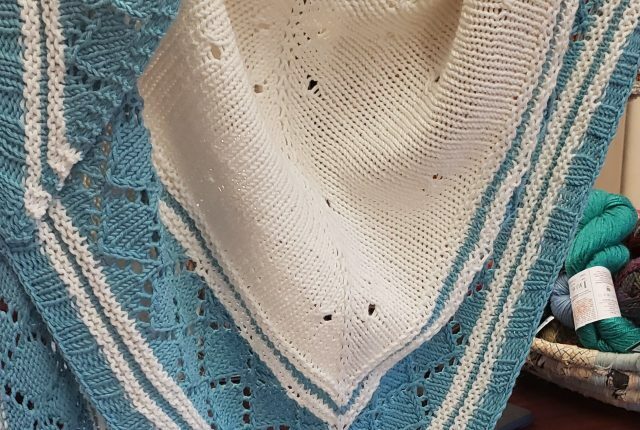 Stop in at The Hive on the Creek and let us help get you started on this beautiful shawl or scarf using the colorful zauberball and a beautiful solid color. Stop in today to let us show you the amazing selection of colors.